Their work, in the outgoing of the years, have given its fruits and actually, we have the confidence of a big Club as is GARD and several Internationals Insurance Companies, who have appointed HERMOSA as their correspondents for Algeciras, Gibraltar and others port of South Spain. During all these years, HERMOSA, has carried out more than 12.000 reports about all kinds of incidents as damages to vessels and vehicles, damages to cargo, damages to third parties (floating and fixed), injuries to persons, stowaways… Etc. Also we have a list of several independent surveyors, specialists on their area, as Chief Engineers, Containers Surveyors, Vehicles Surveyors, Cargo surveyors, Lawyers and a very long etc. .HERMOSA has a group of highly qualified professionals, all from the marine world, which also has many years of experience in the business. 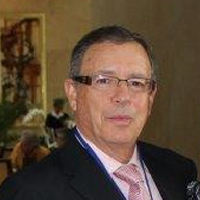 ANTONIO PEREA – Director and founder. Antonio has a broad experience in the maritime knowledge and in the handling of P&I matters, Insurers and Shipping Operators. He is currently member of the Port Authority of Algeciras and for the external relationships of HERMOSA. 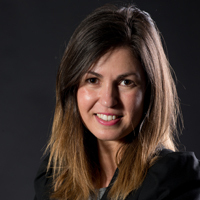 AFRICA PEREA – Financial Director. Responsible for the accounting department and administration. Experience in several programs including Feesable. 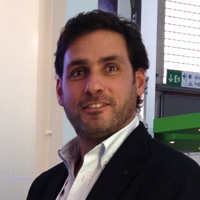 ALEXIS PEREA GIL – Deputy Director. Operations and experienced in short sea shipping. Responsible for the management company and operations. Alejandro joined the company after having gained a wide experience as logistical sea transport, working in the P&I business since the beginning of 2007. Copyright 2015 Hermosa Maritima S.L.